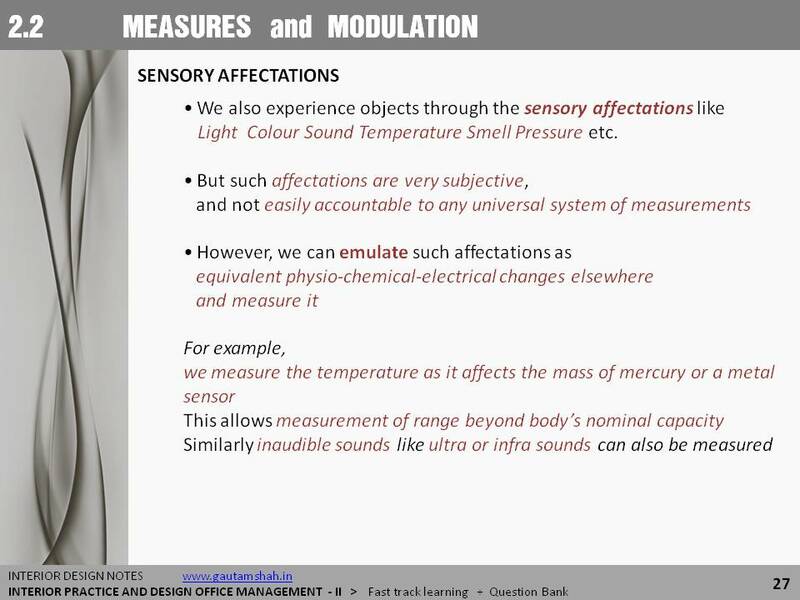 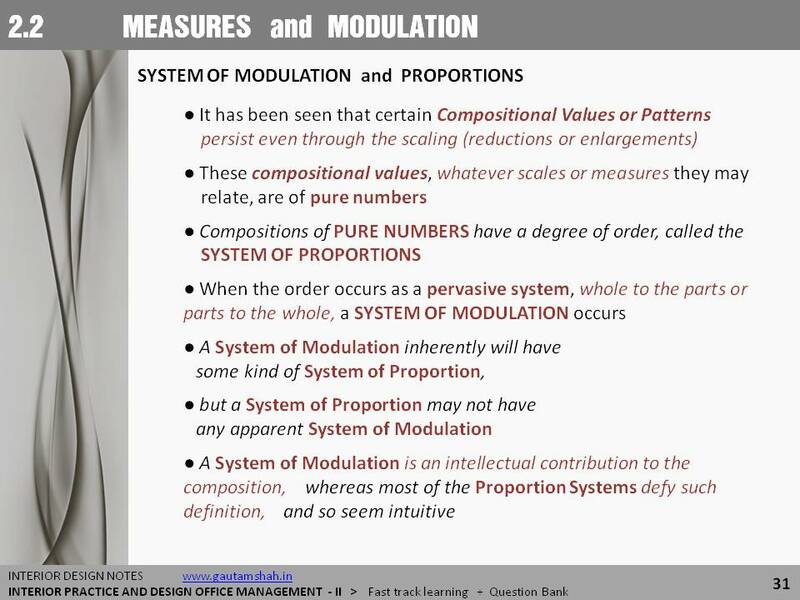 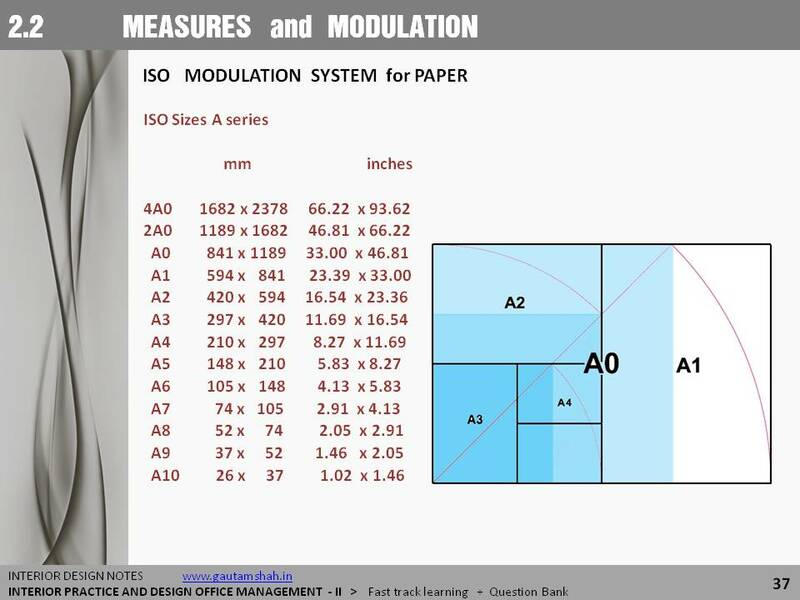 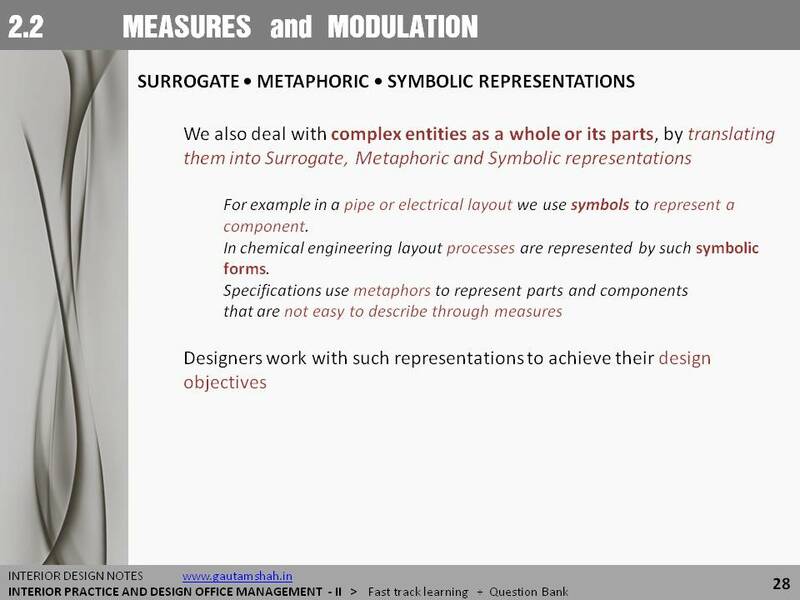 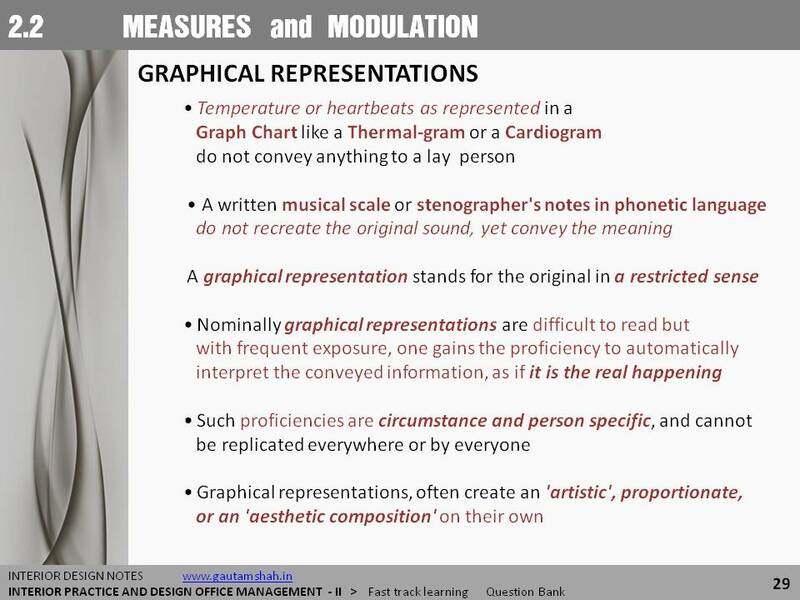 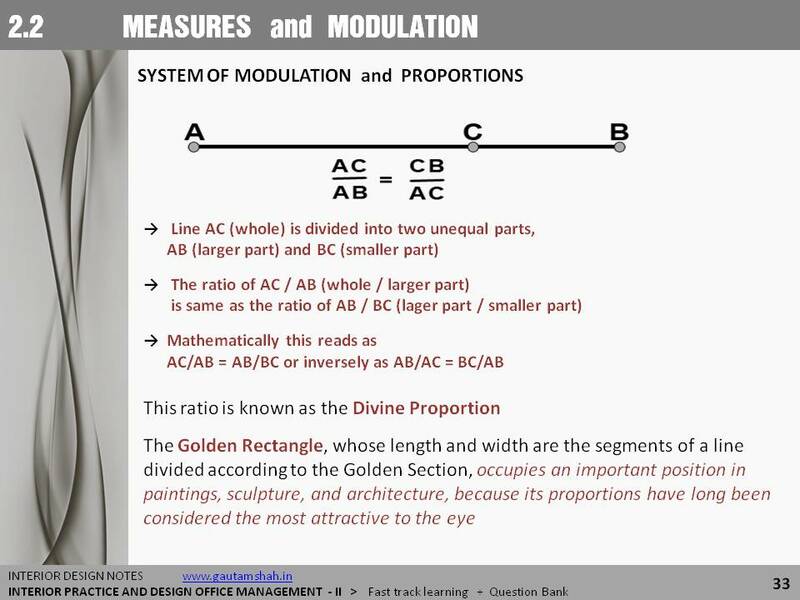 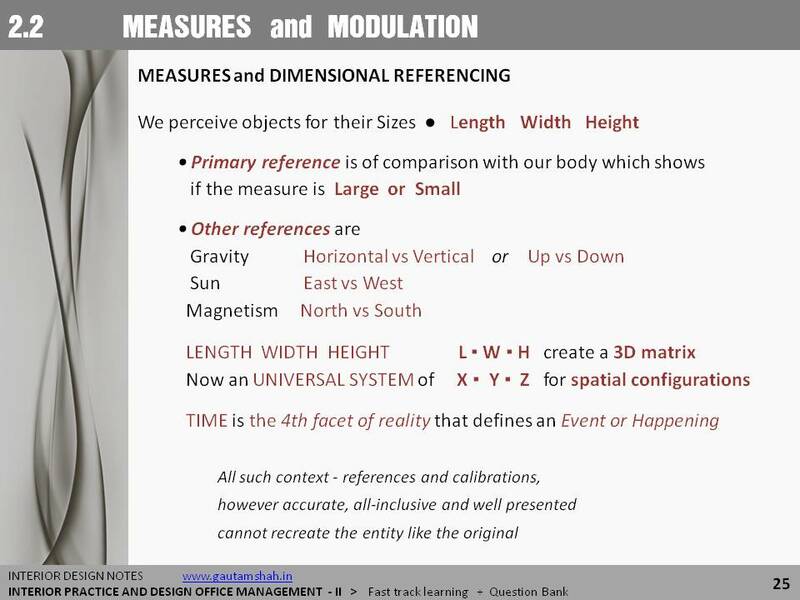 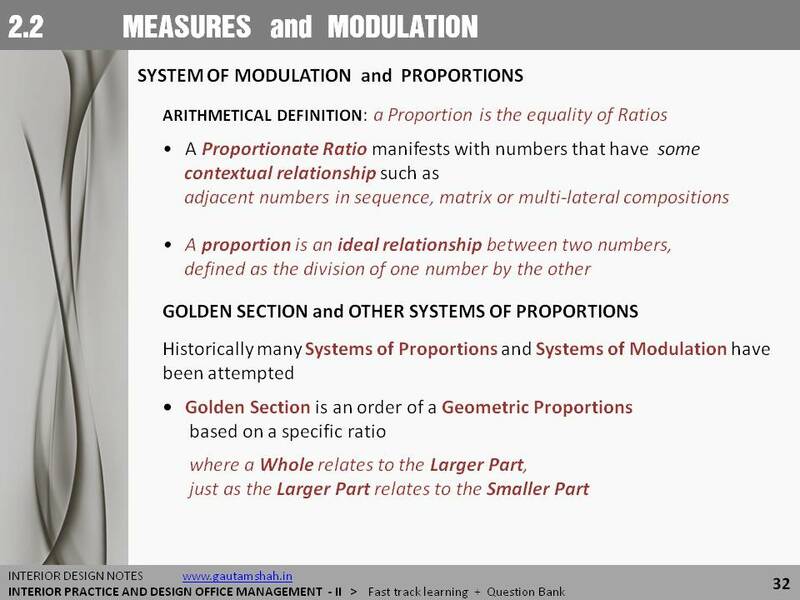 Here in few slides How measures are modulated is shown. 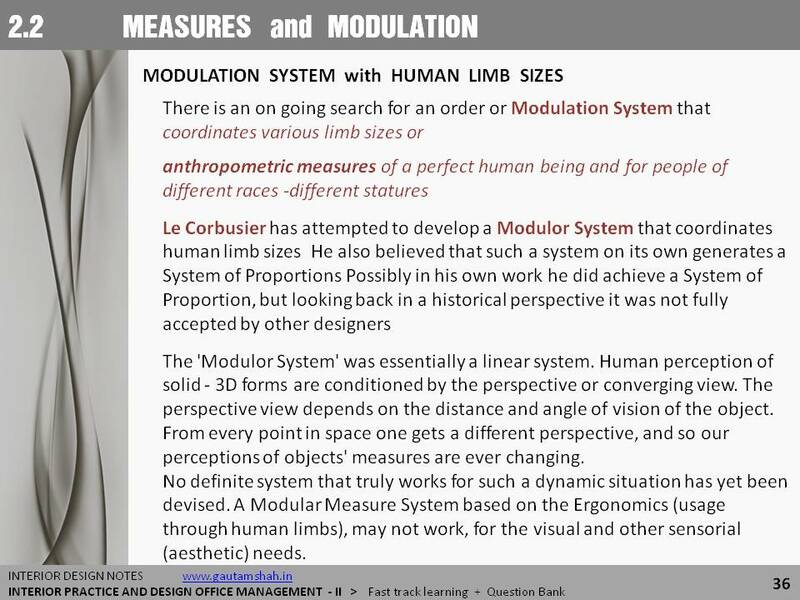 Measures are modulated with human limb sizes, for coordination with other measures, such as Length, Height, Width and Up-down, Left-right, Far-near, etc. 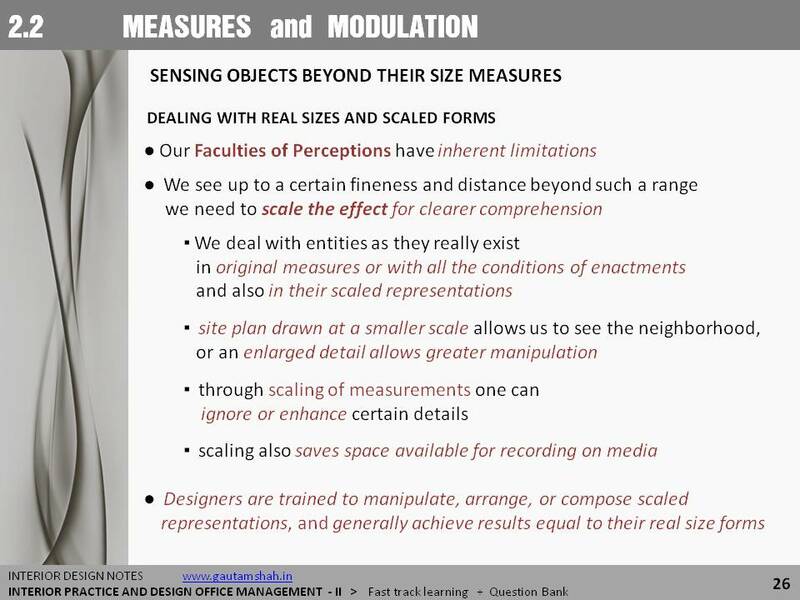 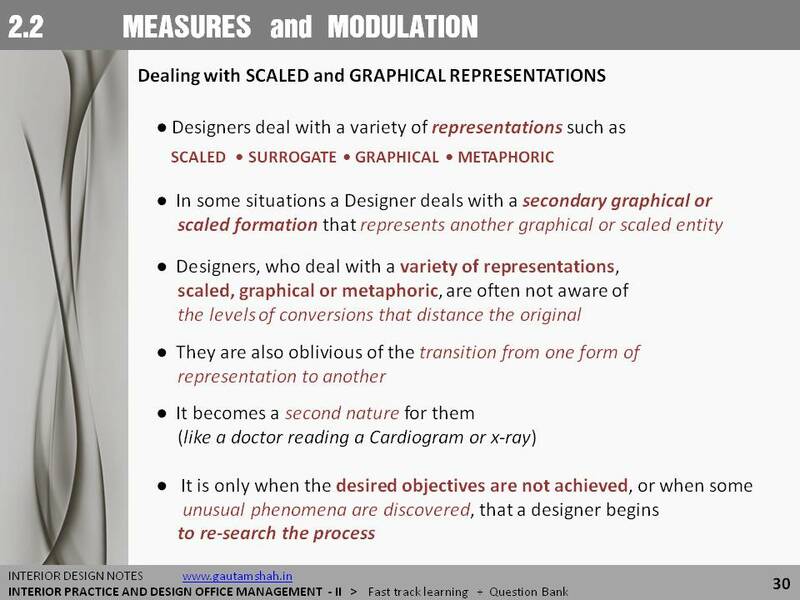 Measures that are beyond sensorial capacities of perception are reduced or converted to other scales. 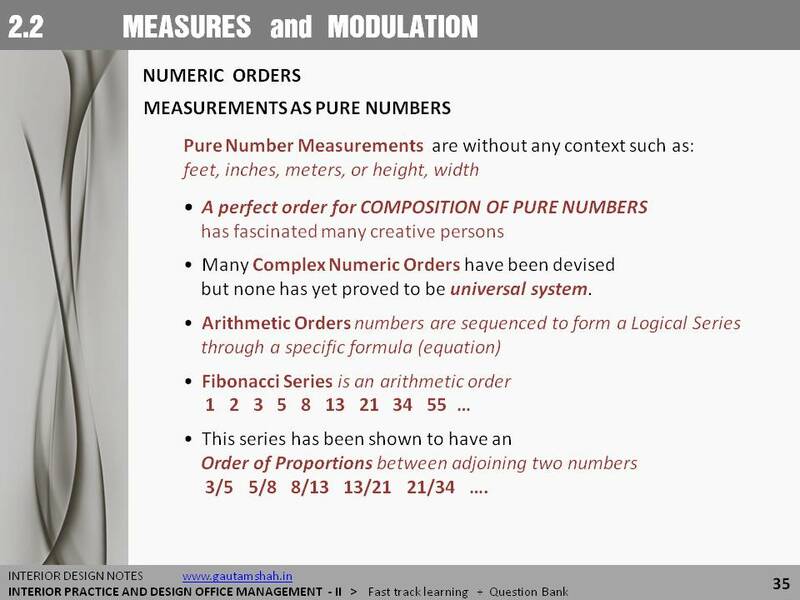 Measures in pure numbers have a mathematical order which persists through reduction, enlargements, etc. 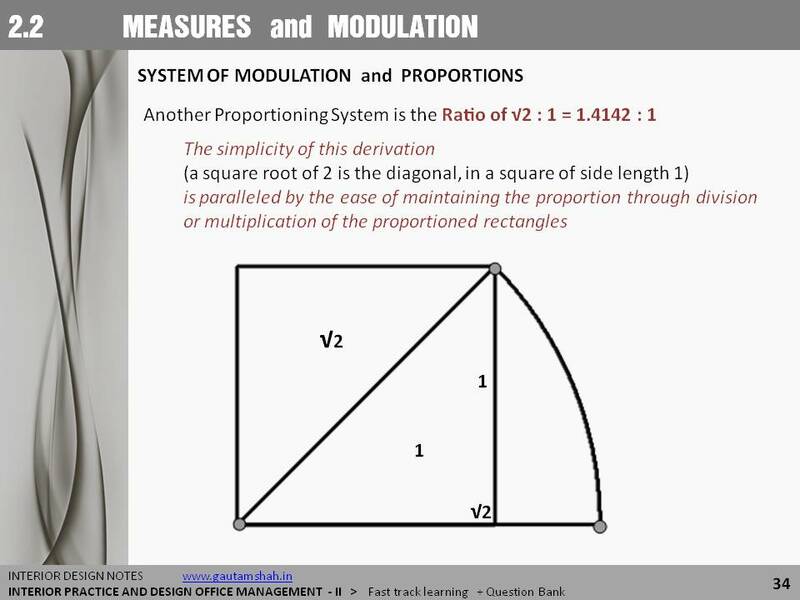 Measures are also divided-added up to form a series.